LOW MILES - 35,000! FUEL EFFICIENT 33 MPG Hwy/21 MPG City!, PRICED TO MOVE $300 below NADA Retail! 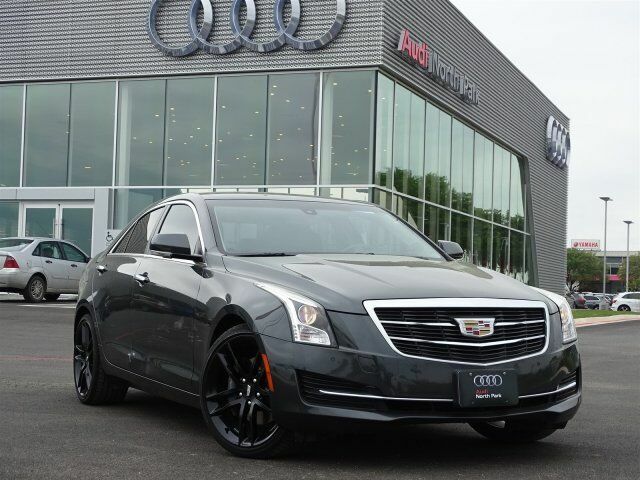 Leather Interior, CADILLAC CUE INFORMATION AND MEDIA CONTROL SYSTEM WITH EMBEDDED NAVIGATION, Alloy Wheels, Satellite Radio CLICK NOW! Leather Seats, Back-Up Camera, Satellite Radio. SUN AND SOUND PACKAGE includes (CF5) power sunroof and (Y26) Cadillac CUE and Navigation, COLD WEATHER PACKAGE includes (KA1) heated driver and front passenger seats and (UVD) heated steering wheel rim, CADILLAC CUE INFORMATION AND MEDIA CONTROL SYSTEM WITH EMBEDDED NAVIGATION AM/FM stereo with embedded navigation, 8" color information display, three USB ports, SD card slot, auxiliary input jack and Natural Voice Recognition, AUDIO SYSTEM FEATURE, BOSE SURROUND SOUND 10-SPEAKER SYSTEM, ENGINE, 2.5L I4, DI, DOHC, VVT (202 hp [151 kW] @ 6300 rpm, 191 lb-ft of torque [258 N-m] @ 4400 rpm) (STD), TRANSMISSION, 6-SPEED AUTOMATIC (STD). Onboard Communications System, Aluminum Wheels, Remote Trunk Release, Keyless Entry, Steering Wheel Controls, Child Safety Locks, Heated Mirrors. This ATS Sedan is priced $300 below NADA Retail. JET BLACK W/JET BLACK ACCENTS, LEATHER SEATING SURFACES With Brushed Aluminum Trim.